The following article was published by ReliablePlant and written by Herb Lichtenberg. This is a well written article that provides good information regarding the value of “lean”, “lean thinking”, “lean manufacturing” and “lean enterprise” concepts. Several themes reverberate throughout: over-production, inventory, transportation, waiting, movement, defects and over-processing. I hope this article proves helpful, and please feel free to share your feedback in the comments section below. “Lean” has assailed our vocabulary the same way that it has attacked waste within a plant or process. From “lean thinking” to “lean enterprise” and “lean manufacturing,” the word has created many catchphrases. But what does it mean to be “lean”? It entails shedding waste in order to reduce costs and increase competitiveness. As Stewards, we must anticipate change for our Future, rather than have the Future change us. Our Transformation Paradigm supports that Vision, involves your organization and provides flexibility for infusing a variety of Best Practices, while integrating Sustainability with Qaulity. That mindset is focused on smart Leadership choices to improve your organization through Sustainability fused with Lean Six Sigma. Transformation is a journey. That journey is based on a forward thinking approach to discover new and better ways to improve efficiency, productivity, performance and profitability. In the current environment, the work we perform, how we do it, where we do it and the process of actually completing the task is undergoing a significant paradigm shift. That insipid “globalization” is a reality and a derivative of the global economy that has emerged. By combining Sustainability and Quality management disciplines and principles, then your organization has an approach that gains, while leveraging a repeatably Continuous Improvement framework. As a Thunderbird, like almost any TBird, we all know that the school was created out of the foresight of Lieutenant General Barton Kyle Yount in 1946. His pragmatic approach was a solution to post WWII difficulties faced by Americans doing business overseas. 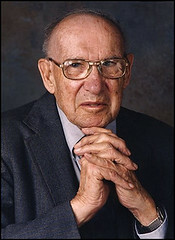 Yount sought to offer a course of studies that would provide expertise in international management. From its inception, the school was focused on improving knowledge and understanding of global interests. I attended and graduated in 1980 with my MIM in hand. Having enjoyed my experience at Thunderbird, I was pleased to have an international career and work with peoples of different cultures, business practices and mindsets. I have always been proud of my alma mater and its ongoing search for excellence. In 2007, I elected to take early retirement from EDS and established my second venture in business consultancy. As part of that plan, I began on a new journey of writing a book about sustainability and quality management. After over three years of research and writing, the book was published in 2011. I realized that if my consultancy was to focus on sustainability, I needed to aspire to a higher level and increase my credibility. I researched a variety of certification programs and they all seemed to be lacking depth and in some cases, a vision. While reading an alumni newsletter, I was pleasantly surprised to see that Thunderbird had begun an offering of an executive certification in Global Corporate Social Responsibility. It was a match and timing could not have been better. After completing the 8-week course, I can definitely recognize the knowledge gained. It was also a good validation tool what I acquired in my research. Looking back and I must acknowledge the content, thoughtfulness in course material, exposure to high-level sustainability principles, and participation in forum discussions based on case studies provided an excellent learning experience. I am definitely looking forward to the next course. As a returning alum, I feel certain that Thunderbird continues to go down that untraveled global path and its guiding star is steering us to a new journey to sustainability and corporate social responsibility. That journey will be the new business model for transformation for the 21st century. From Thunderbird’s inception, the school was focused on improving knowledge and understanding of global interests. I think General Yount would be proud of its mission and vision for the future. 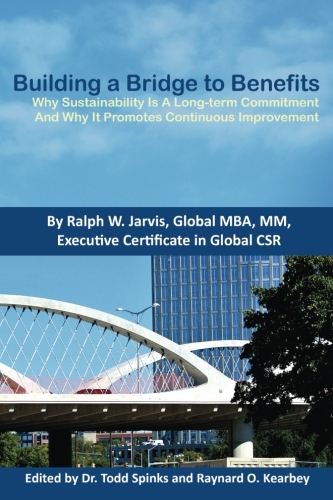 Ralph Jarvis is the author of “Any Questions?”, a primer for leadership to improve their current business organization through Sustainability that relies on Lean Six Sigma practices. He is a senior management consultant with more than 30 years of International Business and IT experience. His engagements include a variety of Fortune 500 companies; federal, state, and Indian Nation governments; public sector agencies; as well as, not-for-profit organizations. Ralph Jarvis graduated from Texas Tech University with his Bachelors in Business Management. He earned his Global MBA in International Finance at Thunderbird School of Global Management and received his second Master’s in Management Information Systems at the University of Dallas, where he graduated with Highest Honors. His company, Jarvis Business Solutions, is a certified Lean Six Sigma practice and is a Business Transformation consultancy. Here are the 10 key issues that typically lead a CEO or business owner to decide to exit the business, usually through a sale, at less than desirable financial results. • The company is overly dependent on short-term debt. No cash reserves have been established to meet short-term cash situations. Also, cash shortages preclude funding essential business growth strategies. Serious cash needs can cause short-sighted actions. • Management structure is too thin. The CEO is so tied to the business that there are no resources for the CEO to share management responsibilities. Thus decision-making, sales, marketing, operations and growth are restricted to the CEO’s abilities and available time. • There is no succession planning. There is no training and grooming of a potential trusted successor. And, there is no active plan or resources to recruit from the outside if an internal candidate is not available. • Managers have no “ownership” in the business. Senior managers are vulnerable to outside offers when they have no real economic ties to the business. Equity incentives or bonus plans can support vested interest in business performance or solid, committed succession. • A specific business strategy is lacking. There is no strategic business plan to focus resources effectively toward goals and to increase profits. This is critical and rarely done consistently in small business today. • The CEO dies or is disabled. Being prepared for the calamities that can ruin a business is a responsibility a lot of business owners do not take seriously enough. Insufficient financial and management preparation for the death or disability of the CEO can create chaos for those left to sort out the issues. • There is disproportionate risk through personal guarantees. Because of personal financial guarantees required for the business, a major crisis could ruin the business owner. Overlooked are the opportunities to share the responsibility and liabilities of the business. • Family and other ownership issues exist. Family succession, majority shareholder issues including divorce, the death or departure of a shareholder, or even conflict between shareholders often precipitate non-economic exit decisions. More often than not, decisions are made with more emotion than reason. The opportunity most often neglected is to engage a business advisor to assist in sorting out the varied interests and prepare viable alternatives in advance. • The assets of the CEO or business owner are unbalanced. Most personal assets are in the value of the business. Little independent retirement savings have been established for the CEO/major shareholders in the event of a business downturn. In the absence of a strategic exit, the sale of the business is required as a retirement alternative.